Maria Ruggiero is a full Professor of Art at Eastern Michigan University. She received an MFA in Studio Art from Kent State University (1997) and a BFA in Studio Art and English from Michigan State University (1995). 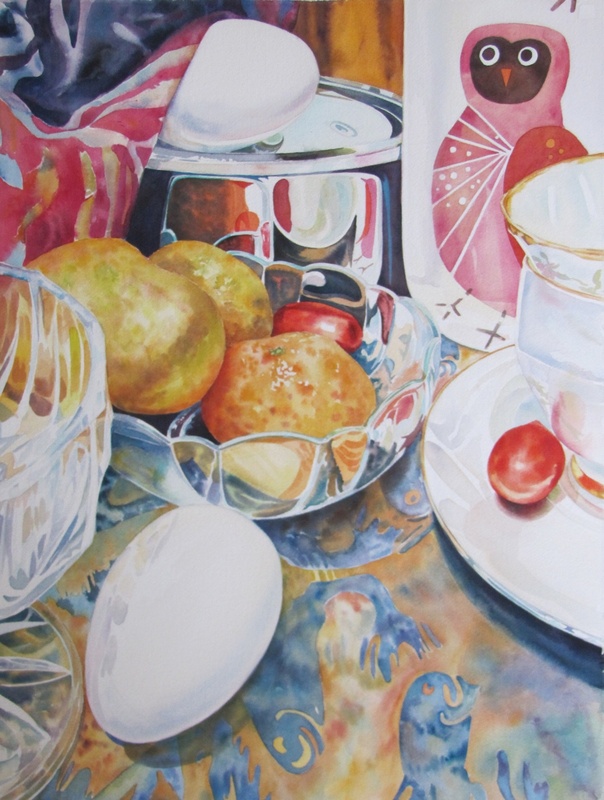 Her work has been exhibited in regional and national juried exhibitions and shows; she has also exhibited her work in both a one-person show and group exhibitions in Germany. Maria is represented by WSG gallery in Ann Arbor as well as by Gallerie Nettles in Muenster Germany; her work is part of many private collections and is also part of several permanent collections including those of Michigan State University and Eastern Michigan University. Recently, Maria’s paintings have been shown in exhibitions in University Gallery at Eastern Michigan University, Washington Street Gallery, Ann Arbor, Michigan, the Muskegon Museum of Art, Muskegon MI, and in exhibitions in Texas and Alaska.